It’s recently become much easier for local small businesses and professional service providers to show up on the first page of Google. For years now, Google has been one of the best ways to generate new customers. However, it hasn’t always been easy – or affordable. In fact, it’s generally gotten more complicated and more expensive over time. Previously, there were only two options. This means showing up in the main results, in the middle. 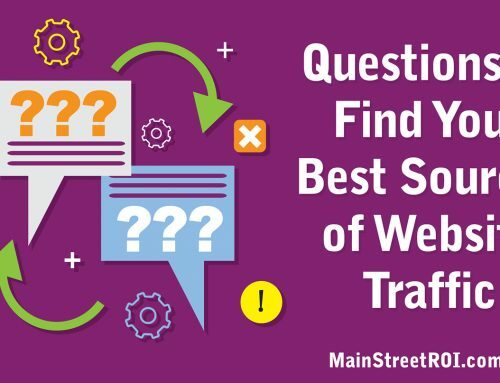 You’ve probably heard of search engine optimization (or “SEO”) before. But in case you haven’t, it means making changes to your website so you show up in the main Google results. (It’s actually a bit more complicated than that, but I won’t get into all the details of SEO here, because that’s not the focus of this post). Now, in our experience, SEO provides a fantastic return on investment (ROI) for local businesses. But to really see results, you need to make a long-term investment – usually a minimum of 3 months… and we generally recommend investing at least 6 to 9 months to generate significant ROI. PPC advertising with Google AdWords means placing ads alongside the search results, where you pay Google for each click you receive. The great thing about PPC advertising is it’s FAST to get started. You can get a campaign up and running and generating clicks within a few minutes. But if you don’t know what you’re doing, it can be very expensive. I’m referring to the map that appears prominently in search results when you type in local keywords. For example, if you search “new york moving company” you’ll now see a big map on the top right, along with 6-7 local results listed right at the top. Google has given these map results very prominent placement, which means that Google is giving local small businesses and professional services firms a LOT more exposure/visibility. Right now, it’s easier and more affordable than ever to show up on the first page of Google. In fact, it’s free to get listed in Google’s local results, so any small business can afford to do this, even if you’re just starting out. Unlike PPC (Google AdWords), the clicks are free. You don’t have to pay for each click you receive in these local results, so you can save a ton of money on advertising costs. And you can typically be ranking and getting exposure within 30 days, not 3-6 months like traditional SEO. So it’s a very fast, affordable way to jumpstart your online marketing. Fill out your Google Places page as thoroughly as possible. Once you’ve created your listing, you’ll want to verify it. Google with either call you or send you a letter in the mail to verify that your listing is accurate and belongs to you. What do I mean by credibility? Google will be more likely to display your listing prominently if they are 100% confident that the information is reliable and accurate. Here’s how you give them that confidence: submit your website to several other directories, in addition to Google, so that your company’s critical information (name, address, phone number, etc) is posted in several locations around the internet. From there, Google will cross-reference your Google Places information with the information posted on other sites, and if it all matches up properly, then Google will be more likely to showcase YOUR listing on the first page.